Maxinet offers a range of fibre products and speeds depending on your location. Maxinet's Fibre service is a super fast 400Mbps or 1000Mbps symmetrical internet line for Business delivered over fibre. Because it's full duplex you get 400Mbs or 1000Mbps up and down simultaneously. It consists of a fibre connection brought right up to your office, connected to a Network Termination Unit (NTU - supplied by Maxinet), with an Ethernet hand-off. Simply connect your network router to our NTU and enjoy the benefits of an enterprise grade fibre internet connection. Maxinet's Fibre will provide massive value. We understand that all businesses are unique. If you don’t see an option here that works for your business, we can tailor a package that does. These are the standard pricing options for fibre enabled buildings, but just tell us what you need. You can also achieve further cost efficiencies by bundling your Fibre connection with our VoIP services. Contact us today to find out how..
Maxinet's Fibre is a Premium Business product aimed at organisations that are looking for a better deal. You may simply want faster Internet for less because you are paying too much, or your technologically advanced business has increasing bandwidth requirements. The world is pushing you towards applications that require more and more bandwidth - Office365, cloud backups, video conferencing, remote workers and VoIP to name a few. This product will accommodate all of these services at a very affordable price - it's cheaper than you would think. Maxinet's Fibre is available in CBD buildings across the country. You may already have access to game changing fibre Internet access. 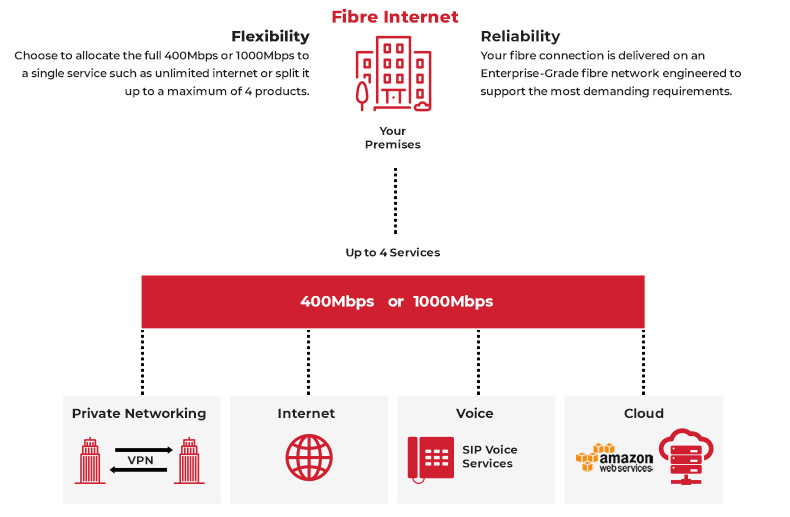 Contact us today to find out if your building is fibre-enabled.